Asha’s Restaurant at Pyramids Wafi belongs to the famous Indian singer Asha Bhosle, who not only has refined her musical talent, but also culinary interest by making an attempt to learn about the diversity in Indian cooking. As a result of that she had formed the menu of Asha’s Restaurant by getting inspired from various delectable offerings of great chefs. These inspirational dishes range from appetizers to soups, hot oven bread to variety of kebabs, vegetable dishes to curries and desserts to array of beverages including alcohol. 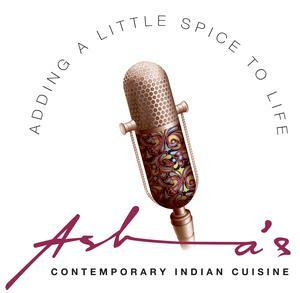 In brief, Asha’s Restaurant is a home to traditional northwest Indian dishes, which are served in a modern setting as its decor is posh and very fancy. Moreover, its service is also quite prompt and quick, which boosts the taste of having meal at this venue. Asha’s Restaurant in Oud Metha, Dubai has introduced Indian cookery an innovative style. The menu of this bistro boosts traditional northwest Indian delicacies, which comprises of luscious meats, fish and vegetables. Head chef Saleem Qureshi takes care of matter at this restaurant and all dishes are prepared under his supervision. He follows traditional cooking methods handed to him by his ancestors, so you can imagine how good the food is going to be at this venue. With food, guests can also take pleasure in the desserts and drinks of this eating place. Drinks include lassis, fresh juices and wide range of cocktails. Seating on the terrace is also available, from where guests can enjoy the stunning views of Wafi Courtyard during cooler months. In addition to this, people of Dubai can also make their reservations at this fine eatery. To see the full menu of Asha’s Restaurant, click here! The lunch timings are from 12:30 pm to 3:00 pm, whereas dinner hours are from 7:00 pm to 12:00 am at this bistro that opens on all days of the week. Pyramids Wafi, Oud Metha District - Dubai - United Arab Emirates. Head west from this metro station and then make a sharp left turn that goes through one roundabout, before making another sharp left turn, which will bring them quite close to the destination that can be located on the right side after covering few meters distance from this turn. Bus number 42 serves the nearest bus top of Asha’s Restaurant that is called Garhoud, Le Meridian Fairway – Dubai. This bus stop is 350 meters away from Asha’s Restaurant, which makes it 4 minutes walking journey, if a person heads in the north course from this station and then make a sharp left turn that will lead him or her to another sharp turn, but this time on the right side. After making that turn destination will be not too far from that person and he or she can easily locate it on the left side after covering few meters. See the map for directions.